Police are investigating a shooting death in Fort Kent on Sunday as a homicide, according to Lt. Troy Gardner of the Maine State Police major crimes unit. 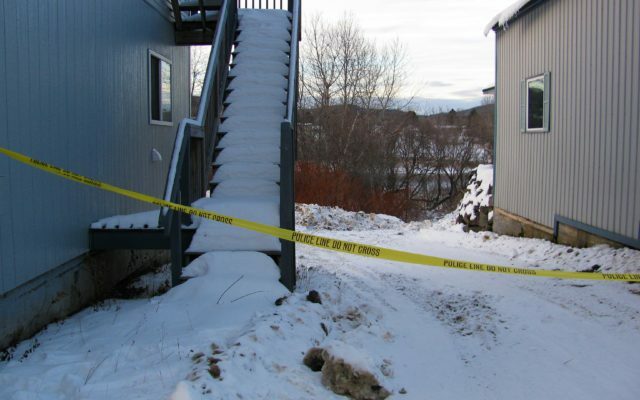 FORT KENT, Maine — Police are investigating a shooting death in Fort Kent on Sunday as a homicide, according to Lt. Troy Gardner of the Maine State Police major crimes unit. When Fort Kent Police Sgt. Dalen Boucher responded to a 911 call at 12:30 p.m. Sunday at 485 West Main Street, he discovered a deceased male in a basement apartment. Following an autopsy in Augusta Monday, the state medical examiner’s office determined that Daren Charette, 49, died of a single gunshot wound, Gardner said Monday afternoon. Gardner declined to reveal the type of gun involved in the shooting. Gardner declined to name that person or to provide any further information about the individual, including about gender or relationship to the victim. At this point, no one has been arrested, Gardner said. “At this time this is still an active investigation and we will continue to investigate this shooting in a coordinated effort with the Maine attorney general’s office and at some point based on our investigative efforts a decision will be made about whether charges will be filed,” he said. The detective said police anticipated completing their work at the apartment building Monday afternoon. Fort Kent Police Chief Tom Pelletier said the state police are in charge of the investigation, as is protocol, and that his department would provide whatever assistance it can to the detectives investigating the shooting death.